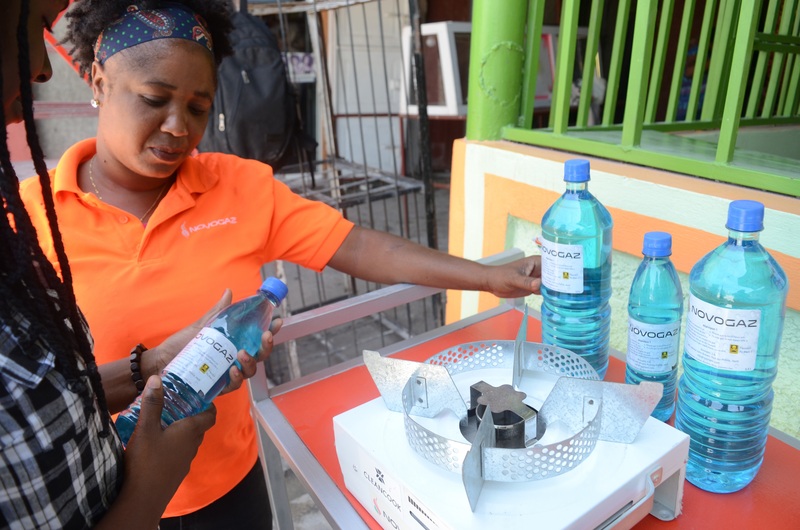 Novogaz, a locally owned clean cookstove and fuel business in Haiti, recently became the first customer to receive CLEANCOOK COMET 1 burner stoves. A total of 4,400 units have been shipped in parts, enabling more stoves to be shipped in a container. The stoves are assembled in Haiti, creating livelihood opportunities for local residents. After an earlier technical and commercial evaluation in the field, this stove concept was found to be the perfect complement to the 1 and 2 burner CLEANCOOK NOVA stoves, sold in Haiti since the beginning of 2016. The COMET, marketed in Haiti as Novorecho, is being retailed at a very competitive price. Novogaz has hence made a statement to remain as the leading ethanol stove and fuel supplier on the Haitian market.